Section 7606 of the Agricultural Act established in 2014 is quickly making it’s presence felt here in the Bluegrass. 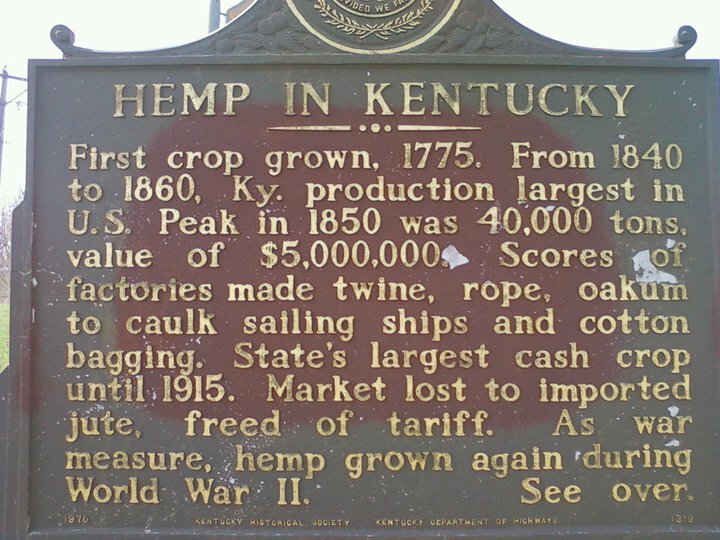 The Agricultural Act of 2014 allowed certain states including Kentucky to start farming hemp again after a ban of almost 60 years. While it will probably take a few years before we fully know if hemp can replace a significant portion of the income lost with the disappearance of tobacco and coal revenue, there’s a plethora of Kentuckian entrepreneurs, farmers and manufacturers who already are staking their future on it. The hemp revitalization began soon after Feb. 7, 2014, when the Agricultural Act bill was signed into law. It authorized five-year pilot programs throughout universities and state departments of agriculture. As of today, there are 28 states including many in the South which have been approved to grow industrial hemp — some for research and some for commercial value. For the next four years, hemp can be grown and processed to produce fiber for textiles, paper and building materials, as well as seed and oil for food, beauty products, biopharmaceuticals and fuel. Now, farmers across the state including many former tobacco farmers are planting hemp seeds that have been grown in the country since the crop was banned nearly 60 years ago. Last year, the Kentucky State Department of Agriculture licensed more than 100 programs at universities, private farms and processing sites. One of them is here in Clark County located off Colby Road at Atalo Holdings, Inc, a 27-acre farm of cannabinoid-rich plants. Last month, Genius Extraction Technologies, a California company the produces hemp and cannabis oil extraction equipment, announced plans to build a new $400,000 hemp processing facility in Winchester. The facility will be located at Atalo’s Hemp Research Campus on Colby Road, where early testing and setup has been underway since March. The company expects to process some 250,000 pounds of hemp for commercial uses in the fall for Atalo and its subsidiaries, Super Food Processing and KentuckyCBD. Across the state, hemp pilot programs have dramatically increased over the past year with hundreds participating and close to 4,500 acres of hemp being planted. According to a recent report from SurfKY News, Governor’s Office of Agricultural Policy Executive Director Warren Beeler told the Tobacco Settlement Agreement Fund Oversight Committee Atalo Holdings’ hemp contracts this year cover over half of the 4,500 acres planted statewide. Atalo got its start with $492,000 in state funds pulled from a 16-year-old settlement between the state and cigarette manufacturers after Kentucky made state-sponsored research legal in 2013, Beeler said. It was the first project to receive state tobacco settlement dollars for a hemp-related project, the GOAP reported last year, and it is currently processing its product from last year into protein powder and other legal hemp products. Many other hemp operations are also at work across the state, and most hemp grown are being used for cannabidiol or CBD, a lucrative hemp compound believed to have medicinal benefits. Kentucky passed a law in 2014 that excludes CBD oil from the definition of marijuana for certain epileptic patients. CBD oil is just one product in today’s ever increasing hemp market. How large the hemp market will grown remains to be seen. “How big is the market? We don’t know that,” Beeler said in the same SurfKY News story, telling the Tobacco Settlement Agreement Fund Oversight Committee he hopes hemp production can eventually replace lost tobacco income. “We went from 33 acres (or industrial hemp initially) to somewhere in the neighborhood of 4,000 to 5,000 this year, and I don’t think anybody much is raising this stuff who doesn’t have a contract or place to get rid of it. Contact Steve Foley at [email protected] or follow him on Twitter @SteveFoley8. I am all for the hemp crops taking over the tobacco rops but screw all this out of state stuff. Its the same kind of stuff that got rejected in the Ohio elections.